Deliver e-Learning courses on all devices (including mobile): PC, MAC, tablet, smartphone, SmartTV. Create a community of users around the e-Learning process: chat, comments, boards and forums help and facilitate learning. Add competitive dynamics to your e-Learning platform. DynDevice's SCORM™ Learning Object Player is certified by the Wisconsin Testing Organization located at Academic ADL™ Co-Lab as 100% compatible to the SCORM™ 2004 3rd Edition standard. 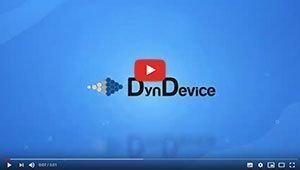 As a matter of fact, with DynDevice Mega Italia Media has adopted SCORM™ as its standard e-Learning format. The adoption of this format means using learning objects which will always be compatible and, thanks to the standard, potentially usable on any SCORM™-supported platform. This also means that a course created with DynDevice (solution "3. Course creation") is potentially usable with any LMS that correctly supports this format.